As an administrator, you can delete a benchmark assessment from the list of benchmarks in MasteryConnect, or you can delete it from trackers. The following article will show you how to delete scored or un-scored benchmarks from all trackers. Click on the title of the benchmark to open it. Click the orange Delete Symbol in the top right corner. 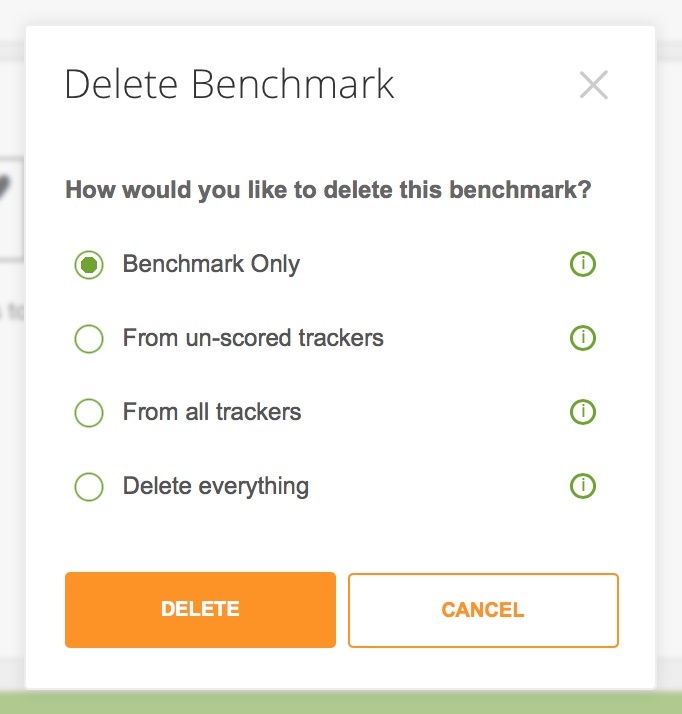 Select Benchmark Only, From un-scored trackers, From all trackers, or Delete everything. Then click Delete. If you are unsure which option is best, review the descriptions first.